Just when you thought it was safe to go back in the water ... it totally was. While certainly dramatic, an image of a breaching great white shark currently making the rounds on Twitter as National Geographic's "Photo of the Year" has nothing to do with the magazine. In fact, it isn't even a photo. In reality, the picture is taken from a series of computer generated stock images by Russian illustrator "Alexyz3d," a fact that becomes obvious when the render is enlarged. Even the photograph's supposed author, "National Geographic Chief Photographer Bob Burton," is a fiction, with no one by that name working at the magazine. 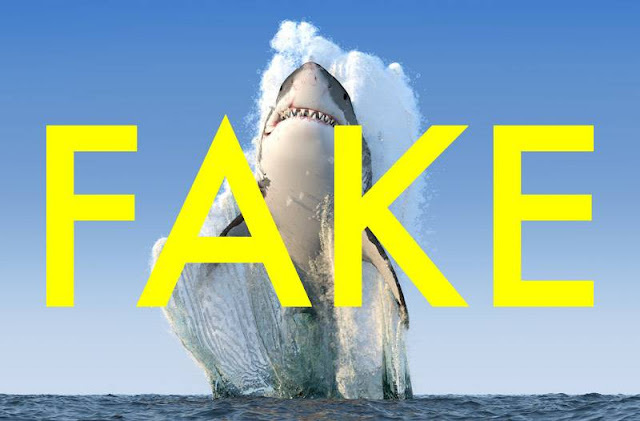 In a year full of fake news and hoaxes, even a great white shark may seem like small potatoes. Still, let's try to end 2016 with a shred of reality intact, okay?